German digital bank Number26 and TransferWise, a UK-based international money transfer platform, have teamed up to provide Number26 customers with direct “in­-app” access to TransferWise’s service. 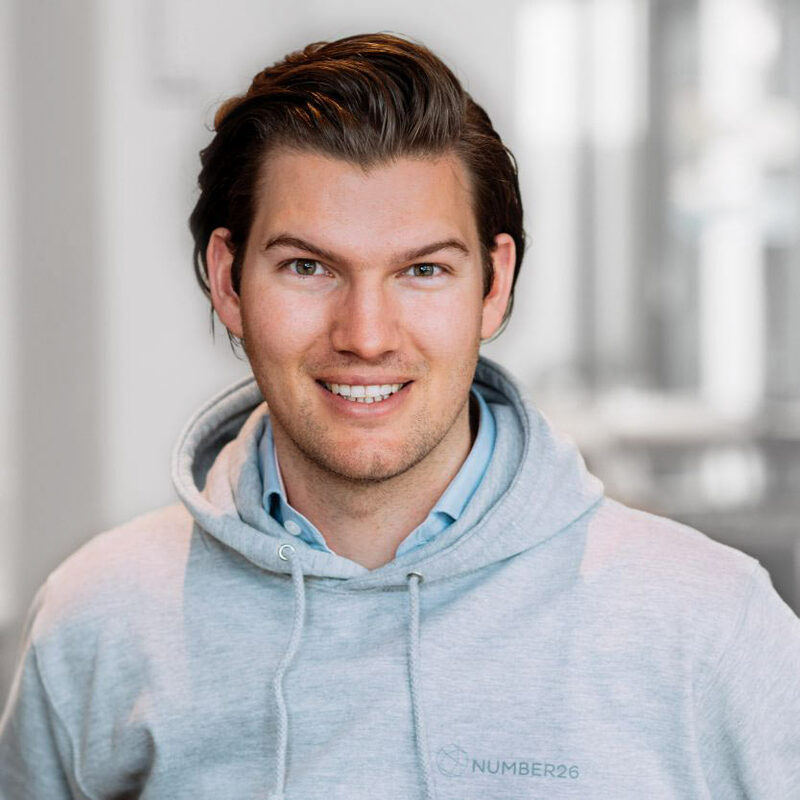 Number26 co-­founder and CEO Valentin Stalf says the company wants banking products to be “accessible to customers with one tap, creating a fintech hub inside the Number26 app”. The service is immediately available to Number26 customers in Austria, France, Germany, Greece, Ireland and Slovakia. Transfers will be permitted from euros into eight initial currencies: British pounds, United States dollars, Swedish krona, Indian rupees, Australian dollars, Hungarian forints, Swiss francs, and Polish zloty. Number26 says support for additional currencies and countries will be “added soon”. Both companies are keen to stress their different approach to traditional banking. Number26 says it has a “mobile-­first focus” and an “emphasis on innovative features like a paperless eight-­minute sign-up, instant push notifications and real­-time transaction updates”. However, Number26 does not have a banking licence (although there are talks of that changing soon). Instead, it has partnered with a “traditional”, well-established domestic banking player, Wirecard Bank, so that all current accounts are actually opened with Wirecard Bank and the funds are under its management. TransferWise uses peer­-to-­peer technology to transfer money abroad at a “lower cost than with a typical bank or broker”. Number26 was launched in 2015 and has raised over €12 million from investors such as Valar Ventures, Earlybird Ventures and Axel Springer Plug & Play. It currently employs a team of 120 people in Berlin. If you’d like to read more about digital disruption, then last year, Richard Poole, managing partner at Fluxx, commented on how banks can add interest to others’ ideas. Users of Moneymailme will have the option of using physical and virtual prepaid cards to make purchases with the funds in their e-wallets. The new feature, announced June 28 at the Money 20/20 Europe conference, is the result of a partnership between the London-based social money transfer provider Moneymailme and Prepaid Financial Services, a U.K.-based payments technology provider. Catch up on FinTech Futures' top five fintech stories of the week – all in one place! Well, reader, it's kind of a cheerleader for Seedrs. Users will be able to hold and convert 28 currencies at the real exchange rate with the account. VC investment in the nation’s fintech firms was up 153% at $1.8 billion in 2017. First non-bank payment service provider to directly access system.